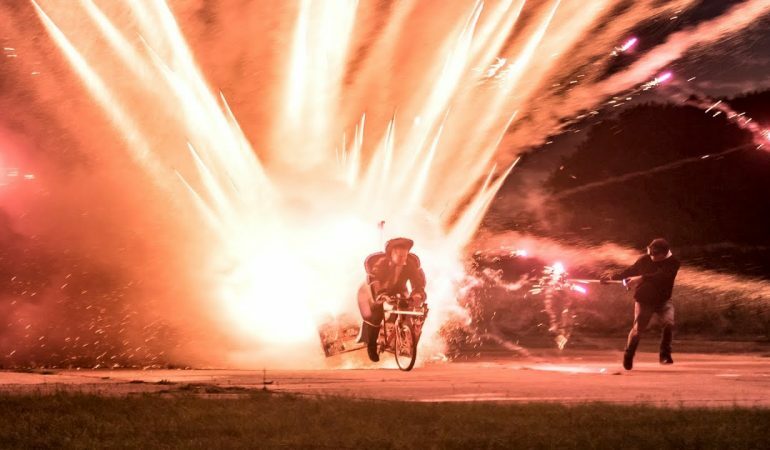 1000 Rockets Launched From A Mobile Bicycle! WTF?! Youtuber Colin Furze is always up to something new and exciting. Viewers never know what he will come up with. However, one thing they do know is it is almost always promised to offer an adrenaline rush and epic action! 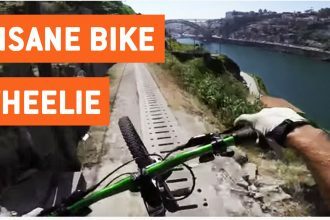 In this video we join the daredevil himself as he launches 1000 rockets off of a bike! This stunt definitely pushes his stunts to a whole new level! Colin will become an actual mobile firework platform and you best beleive he has every detail planned! You have to admire his willingness to always go above and beyond for his channel. The real question on everyone’s mind is if he will make it out of this stunt unharmed or even alive! Check out the video below as Colin plays with explosives and pushes the limits of what is possible! To check out the unbelievable stunt click the video below! Wild Stunts To The Tune Of Gangnam Style! Hilarious/Impressive!